We are back with our Mani Mondays! 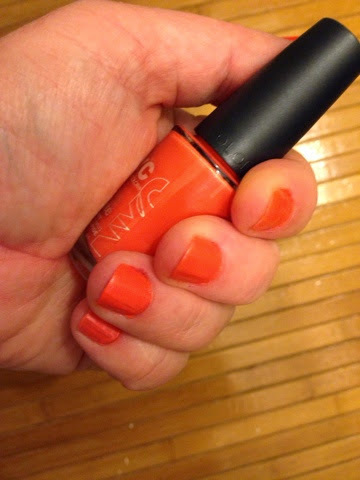 This week we are rocking Animal Instinct from NYC In a New York Color Minute! I decided to go with a Fall color (it IS still Fall, right). I like the slight amount of shimmer this polish has and how super fast it dries! MamaBreak received this nail color from NYC. We were not required to include it as a ManiMonday, but we love all of their new colors for Fall, so we wanted to share!